Happy Valentine’s Day Loves! The international day of love is here, balloons are everywhere, flowers are being delivered, chocolates are bought in mass quantities and everybody is feeling the love. Rather you are single, dating or married remember Valentine’s Day is just another day, tomorrow everything will be back to normal and chocolates will be priced half off, the real holiday. Now if you still aren’t convinced then let me share a little secret with you, I have never had a “true” Valentine on this lovely day, for 26 years of my life and I am still standing. Forgive yourself for any mistakes that you feel you have made in the past. Let go of the negative things that have happened. A big thing that use to hold me back not finishing my degree in a “timely manner.” I should have had my degree by 2012 and here it is 2016 and I am just about finished. I use to get really down on myself about it and think that I wasn’t smart enough but once I realized that everything happens for a reason I started to love myself a little more. Don’t compare yourself to anybody else! Stop it and stop it right now today. God made us all different for a reason! You aren’t meant to be like anybody else. You are one of kind. Start to love those different things about yourself and you will be a lot happier. Those are just a few ways that I keep myself loving myself during the good times and the bad times. They make me remember that I am enough, I am worthy and whoever gets to marry me will be lucky. As for the outfit, it was is so simple but I felt so good in it. 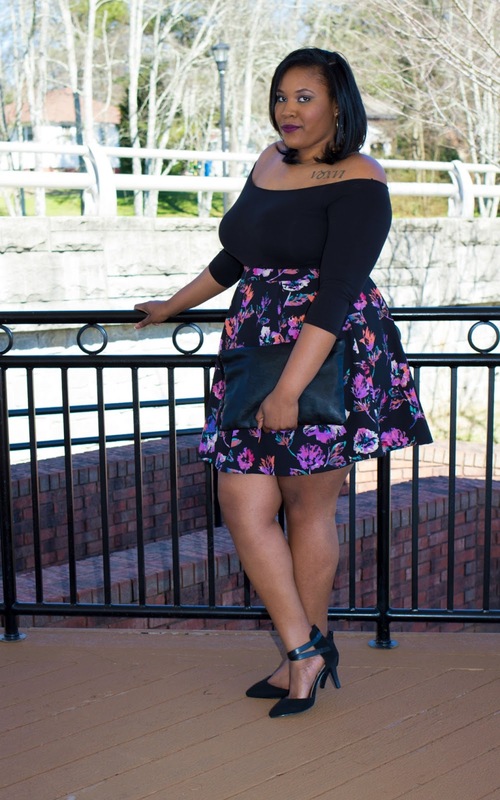 As I looked through the pictures I just kept saying, “You are absolutely beautiful.” I found this skirt at Forever21 a few weeks ago and the pattern was so beautiful I knew that I wanted to keep it simple so show off its beauty. I paired this off the shoulder three quarter sleeve top with it. 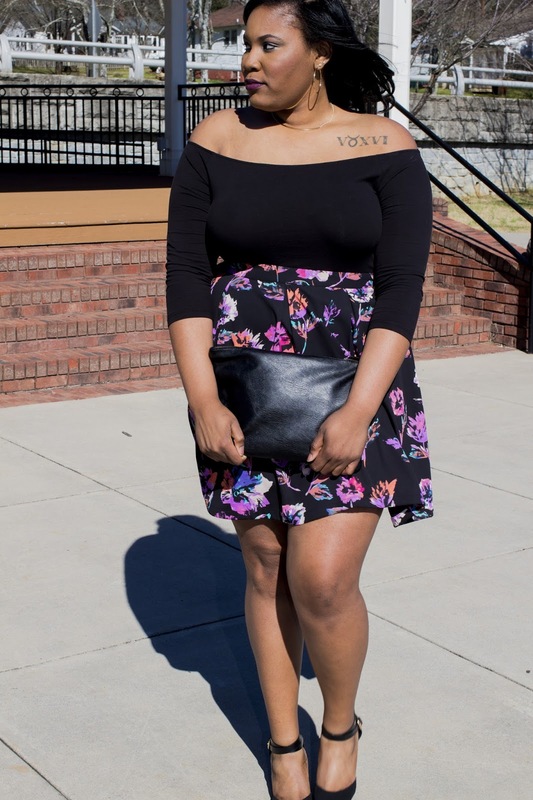 Simple jewelry and strappy pumps pulled everything together.